The Australian Market & Social Research Society presents the results of ANZ Bank’s co-creation effort which turned the customer into a driving force in the banking innovation process. The Australian Market & Social Research Society (AMSRS) is a non-profit professional membership body having more than 2,000 market and social research professionals as members who have dedicated their lives to increase the standard and understand the market and social research in Australia. 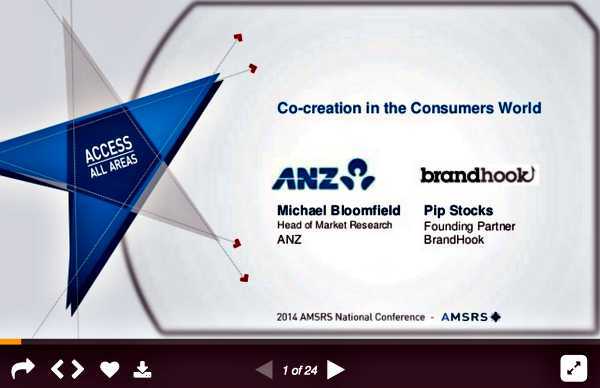 At the AMSRS 2014, the BrandHook & ANZ Innovation Case Study was a revelation for many financial services institutions in the country. The presentation was on the topic of ‘Co-Creation in the Consumer’s World’. Pip Stocks, the Founder and the Owner of BrandHook and Michael Bloomfield, the Head of Market Research talked how it was important to allow consumers of financial institutions to take part in research and to be able to grow in your business. ANZ has collaborated with BrandHook to help them exploit the creativity as well as the knowledge of their stakeholders within and outside the organisation to help them co-create new products and services for the growth of their business. The key behind it was disruption to allow their consumers to think out of the box and awaken new ideas of banking innovation that are different from what is already present. The presentation also talks about how they have built together in the areas of idea generation and concept development which has helped ANZ to win in major segments. BrandHook helped them to develop new ideas and also change the perception from brand advocates to make the ANZ bank brand more consumer-centric. To read what more they had to say about the topc, click here. 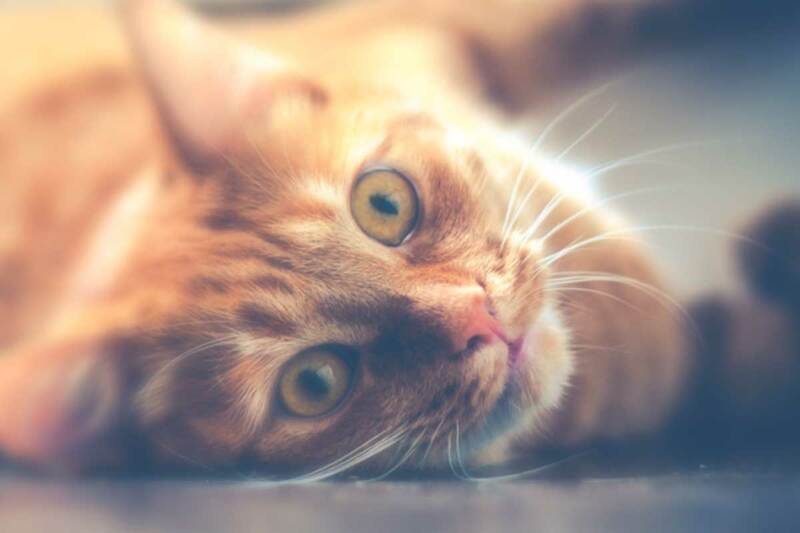 This ANZ bank case study is just one example in the global financial services industry of how to create business and customer value and drive brand differentiation based on a more open approach to banking innovation and a proactive customer engagement strategy tapping crowdsourcing and co-creation.